Nigel is an award-winning, internationally renowned fight director, weapon and movement specialist, intimacy coordinator, stunt performer and actor with expertise in classical, historical and adaptive swordplay, firearms, edged weapon use, kinaesthetic movement processes and combat systems. In theatre, opera and ballet, Nigel works as a fight director and choreographer with companies such as The Metropolitan Opera, Washington Opera, Opera Australia, The Australian Ballet, New York City Ballet, Cameron Mackintosh, Dainty Group International, Sydney Theatre Company, Melbourne Theatre Company, Queensland Theatre, Bell Shakespeare Company, Belvoir, La Boite, Circus Oz and Kooemba Jdarra. Nigel’s film work includes stunt work on OCCUPATION 2 (Spark Films), PIRATES OF THE CARIBBEAN V (Disney), DEADLINE GALIPOLLI (Full Clip Productions/Matchbox Pictures), THE WATER DIVINER (Fear of God Productions/Hopscotch Features), WINTER’S TALE (Warner Brothers Studios), THE BOURNE LEGACY (Bourne Film Productions), VIKINGDOM (KRU Studios). In TV, Nigel is part of the creative team at Weapons Specialists Ltd in New York and has worked on TV Series such as THE GOOD WIFE (Scott Free Productions), PERSON OF INTEREST (Kilter Films), ONE SHOT/JACK REACHER (Paramount Pictures), BOARDWALK EMPIRE (HBO), SALT (Columbia Pictures), I AM LEGEND (Warner Bros. Pictures), SOPRANOS (HBO), THE MINISTERS, (Collective), 30 ROCK (Broadway Video) and LAW AND ORDER: CRIMINAL INTENT (Wolf Films). Recent theatre, opera and ballet highlights include: for The Australian Ballet, SPARTACUS; for Opera Australia, CAVALLIERA RUSTICANA & PAGLIACCI, KROL ROGER, LA TRAVIATA, CARMEN, TOSCA (John Bell); CARMEN (HOSH revival); for Bell Shakespeare, ANTONY AND CLEOPATRA; RICHARD III, ROMEO AND JULIET, OTHELLO, HAMLET, A MIDSUMMER NIGHT’S DREAM, THE DREAM, JULIUS CAESAR; for La Boite, PRIZEFIGHTER, RICHARD III, COSI; for Sydney Theatre Company, HARP IN THE SOUTH, BLACKIE BLACKIE BROWN, ACCIDENTAL DEATH OF AN ANARCHIST, THE LONG FORGOTTEN DREAM, ST JOAN, THE RESISTIBLE RISE OF ARTURO UI; BLACK IS THE NEW WHITE; DINNER; THE PRESENT, SPEED THE PLOW, THE GOLDEN AGE, SWITZERLAND, CYRANO DE BERGERAC, MACBETH, NOISES OFF, ROMEO AND JULIET; for Belvoir, COUNTING AND CRACKING; DANCE OF DEATH; SAMI IN PARADISE, THE SUGAR HOUSE, A TASTE OF HONEY, AN ENEMY OF THE PEOPLE; for Melbourne Theatre Company, NOISES OFF (with QT), THREE LITTLE WORDS, JASPER JONES, HAMLET; for Queensland Theatre, NOISES OFF (with MTC), MUCH ADO ABOUT NOTHING, SWITZERLAND, MACBETH; for Dainty Group International, SINGIN’ IN THE RAIN; for Cameron Mackintosh, LES MISERABLES; for The Metropolitan Opera, DON GIOVANNI, CARMEN (Sir Richard Eyre); DON GIOVANNI (Michael Grandage), IL TROVATORE (David McVicar); for New York City Ballet, ROMEO AND JULIET. Nigel’s fight direction, combat and choreography expertise includes: Historical European (Spanish Rapier, Italian Rapier, French Small Sword, Cavalry Sabre, German Longsword, Sword and Shield / Sword and Buckler, Rondell (Dagger)); Classical European (Italian Duelling Sabre, French Epee, French Foil); Archipelago systems (Knife, Single Stick, Double Stick, Machete, Unarmed); Theatrical (Single Sword, Cutlass, Rapier and Dagger, Rapier and Cloak, Small Sword, Eastern Staff, Japanese Sword, European Longsword, Medieval Sword and Shield); Eastern (Katana/Japanese Sword, Bo, Hanbo, Tanto (knife), Dao (Chinese Broadsword), Double Broadsword. Chinese Spear); as well as Tiajiquan, Xingyiquan, Boxing, Wrestling, Jui-Jitsu/Tai-Jitsu, Natural / Found Weapons (bottle, chair etc), Brazilian Jui-Jitsu, Krav Maga (Knife, Handgun, Stick, Unarmed). Nigel is a classically trained fencer and has trained and taught extensively throughout the world in Historical European Martial Arts. He is a practitioner of Vsevelod Meyerhold’s Theatrical Biomechanics system, having trained intensively with the system’s current custodian, Gennadi Bogdanov. 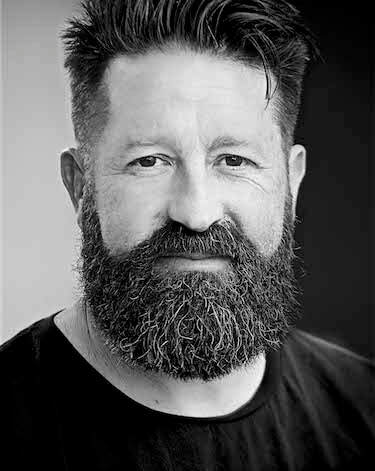 Nigel is a registered instructor, fight director and past president of the Society of Australian Fight Directors, is a certified teacher and theatrical firearms instructor with the Society of American Fight Directors and has been certified with the British Academy of Dramatic Combat. Nigel has received Australia Council and Queensland Arts Council grants to undertake professional development with leading theatre practitioners throughout the world and won a Green Room Award for outstanding contribution to the stage.